We got featured in 2016’s edition of the Palm Springs Golfing Magazine. 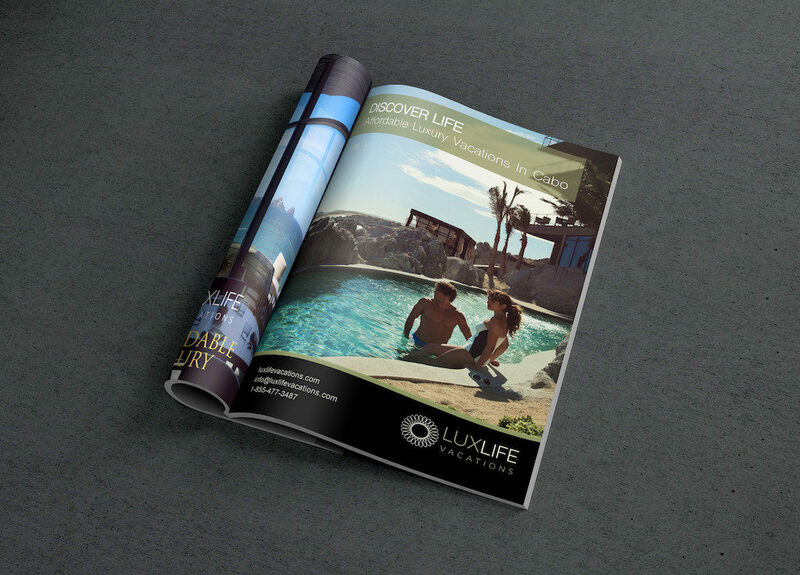 The LuxLife team is dedicated to delivering once-in-a-lifetime experiences to everyone who travels with us. Our personalized packages and attention to detail make the difference between a prepackaged ordinary trip, and a vacation that exceeds all expectations. But don’t take our word for it — listen to our travelers! Thank you so much for the incredible effort you put into booking our vacation. Our room is simply amazing and the kids were blown away at the fabulous birthday surprise! Thank you both so, so much!!!! I want to give a huge shout out to LuxLife Vacation and the Cortez Club! Jeremy helped us book our Scuba Diving Adventure and it was Amazing!!! If you’re planning a trip to Cabo I highly recommend LuxLife Vacations to help you! Thanks again. I want to thank you for helping us planning our trip. From start to finish you at LuxLife were there for us. This was our first trip to Cabo and to have your direction to navigate through the many decisions of trip planning was priceless. You guys were knowledgeable and prompt to respond to any of our requests and questions. We loved staying at The Cape, it fit our style and what we wanted in a hotel perfectly. It was stylish and chic yet just off the beaten path to not feel touristy or over-crowded. The transport you arranged made it easy to get to and from the airport. All your restaurant recommendations were on point! Thank you for helping to make our trip so unforgettable! This trip was beyond any expectations that I had, and I love that! I love when a place surprises you in that way. 5 stars for LuxLife!! The Lux Life team were extremely helpful in finding exactly what fit our needs. They asked the right questions and were very patient with us while we were going through all of the options. Ultimately, we felt like we got the best deal with their tremendous help. Thanks Jeremy and team. We visited Cabo in October with another couple. We had never been to Cabo before so decided to trust Jeremy and his staff at LuxLife Vacations to plan our trip. I can not overemphasize how pleased we were with the performance of Jeremy and his staff. We stayed at 1 Medano room 11-A (a condo), it was unbelievable, fully equipped with everything from a washer-dryer, microwave, stove, even laundry soap and the view was amazing. When we arrived they had a pitcher of margaritas, chips, guacamole and hot sauce waiting on the bar, enough for two full days of relaxing bliss. Beside its amenities it was 2 blocks from the beach and 2 from the marina. LuxLife arranged transportation in a private Suburban that was waiting, on time, at the airport and ready to, unfortunately, return us for our flight home at the end of our stay. They also steered us to a fantastic sailing trip, which we all agreed, was the best any of us had ever had. LuxLife made this trip special and we will return. Hi Jeremy! Omg just arrived in the hotel an hour ago, it’s just so beautiful here! Thank you so much for helping me book this trip. I did ask for a room upgrade and there was 1 room available which was much bigger, but did not have the great ocean view as the original room so we decided to stay in the room we were given first. It’s on the corner with a full ocean view. The people here are also very friendly! Love it! 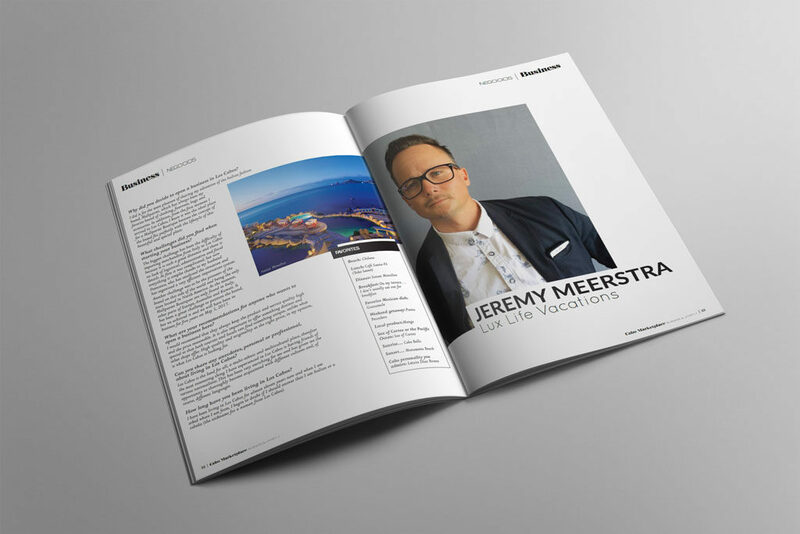 Jeremy Meerstra was very helpful, friendly, and patient. His turnaround time was impeccable and he was very responsive. Jeremy was able to find companies (I was unable to find) which allowed a twelve year old to participate in motorized activities. Thank you for your help and recommendations, Jeremy! I Just wanted to say thank you so much for all the work you did to make our vacation at The Resort at Pedregal the best one ever!! The communication before, during and after to fine tune all the details made a world of difference. Even stopping by to personally meet us just added that personal touch. You guys have set the bar really high for resort and vacation planners. We will highly recommend you to all of our friends! Thank you again and hope to visit soon! Hey Lux Life Team. Been real busy since I got back but wanted to thank you very much for all ur help with Juliana and I’s vacation. We had some of the most memorable moments of our lives. Thank you very much we really appreciated everything you did for us. Hope to speak with you again soon for another vacation. I can’t thank Jeremy and Lux Life Vacations for their incredible help organizing our Holiday Trip to Cabo for my entire family. After hurricane Odile, Jeremy kept in contact with me via email on the damage and repairs to our resort. His reassurance and updates made us feel comfortable not canceling our vacation. The attention we received before and during our trip was remarkable. I will NEVER plan a trip to Cabo without his help and expertise. Well I have to say Cabo will never the the same again. My fiance and I have been down several times before but not with the help of Jeremy and LuxLife. We decided to check them out and wow was it a game changer. Jeremy recommended the Grand Solmar, one of the nicest resorts I have ever seen and packed our short trip with so many upgrades, amenities and activities that I could not have picked them better myself. The team at Lux Life really cares about your trip and gets to know you as people – which I have to say is hard to come by these days. Plain and simple I would never go to Cabo again with out their guidance. Thanks Jeremy! Just want to drop you a quick note to let you know how great it was working with LuxLife Vacations. We really appreciate your help in finding us the perfect vacation rental in Cabo. From the communication before we flew down to the visit at our vacation home we truly felt as though we were your only client. The home was the perfect destination for the four couples traveling. We LOVED Casa Juan Miguel. The location, view, house, and especially the backyard layout were the best that we looked at. I don’t think we could have done better. Thank you again for all of your assistance. We will recommend you to all and any looking to travel to Cabo. Jeremy and the LLV team you’ve been incredible. Our resort has amazing views all around. Feeling very blessed. Everyone loves what you have arranged for us. My wife and I had never been to Mexico before. Thanks to Jeremy Meerstra and Lux Life Vacations, it was like having our own personal tour guide in a foreign country. Not only did they upgrade our accommodations to “dream vacation” status, they took care of everything else. All we had to do is tell them what we were interested in doing and they handled the rest. They have great relationships with all the local businesses so you get treated like royalty. Not only they do they know all the great restaurants – they know the chefs! They know the guys sailing the boats – not just the boating companies. It makes all the difference having somebody on location to make your vacation a personal one. We never want to take a vacation without Lux Life again! LuxLife made our trip super easy and wonderful. I really appreciate how proactive they were to help organize any excursions we wanted, provide restaurant recommendations, and coordinate our car service to and from the airport. Everything went smoothly as soon as we landed in Cabo, and we couldn’t ask for anything more. The hotel itself was above and beyond expectations, and the staff were very helpful and attentive. We will definitely be coming back. This was a great first Mexico trip for my daughter. She enjoyed the kiddie pool, food, the staff loved her, all of the activities that were available for her. I have been to Cabo 3 timeseconds and I enjoyed the resort. LuxLife Vacations was great. The staff was great!